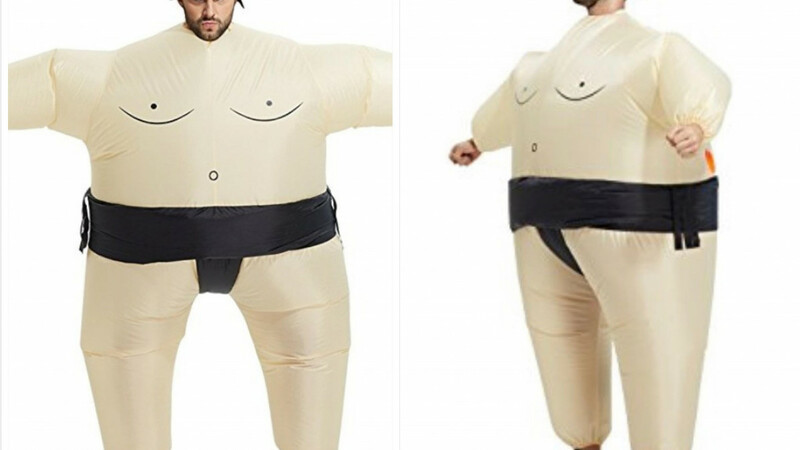 This Inflatable Sumo Suit Will Make You Win Costume Contests! This Inflatable sumo suit is definitely hilarious and creative. But in addition to that it’s also very comfortable and an ideal apparel to wear to a fancy dress party. The costume is inflatable, therefore surrounded by air and not padding, so it gives you lots of room to move around. It’s also ventilated to prevent you from sweating when you’re dancing. In this costume, you can party all night long without a problem! 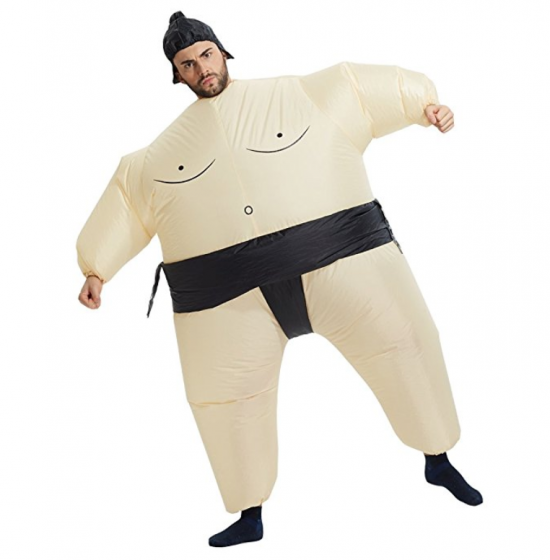 You will be the star of the show if you wear the inflated sumo suit to a fancy dress party or any other fun occasion! The inflation is battery operated so you don't have to waste any energy blowing it up. The battery-operated fan will blow the costume up in seconds and it will stay that way all night long. You don’t have to worry about the costume getting deflated during the party and finding someone to blow it back up for you! The costume is made 100 percent from polyester, so it’s lightweight, strong and durable. One size of the inflatable sumo suit fits everyone. There is a sumo-hair hat and a built-in nappy to make you look like a real life sumo wrestler. This way you will guarantee that truly authentic look. The inflatable sumo suit is much more comfortable than a traditional fat suit style sumo costume because of this feature. The inflatable sumo suit is sure to draw everyone’s attention to you and let you win that costume contest at this summer’s fancy dress party!